In the midst of the Christchurch, New Zealand, earthquake in February 2011, a group of young Israelis, caught up in the destruction, made a quick exit back to their homeland, leaving three of their friends who had died. Now a source within the New Zealand Security Intelligence Service (SIS) has blown the whistle on police and SIS investigations into the activities of the Israelis and those of Israeli search and rescue and forensic teams quickly dispatched to the city. Prime Minister John Key, visiting the USA at the time, has assured New Zealanders that the police and SIS have concluded the Israeli youths were harmless backpackers, and concerns that the forensic team might have hacked the police intelligence database have proved to be groundless. However, given the Mossad passport fraud fiasco in 2004, which saw two Israelis jailed, and two others fleeing the country, including top Mossad operative Zev Barkan, many New Zealanders, including the news media, have remained skeptical. Initial reports stated that three Israeli backpackers were among the 181 killed in the Christchurch earthquake of February 22. The three who died are: Ofer Mizrahi, Ofer Levy, and Gabi Ingel. Mizrahi had been crushed in a van, while three others with him had managed to escape: Michal Fraidman, Guy Jordan, and Liron Sade. The Southland Times broke the story after receiving information from an SIS whistle blower. The question occurs as to whether the SIS informant was dissatisfied with the manner by which the investigation was being dealt with. While the police and SIS—we are told—found no evidence that computer intelligence data had been hacked, this cannot be said to prove that Mossad was not operative in Christchurch. The “unusual” behavior of Israelis in the wake of the Christchurch earthquake sparked a top level investigation, Prime Minister John Key has confirmed. After almost a day of stonewalling, Key confirmed the probe, which involved the spy agency SIS, concluded there was no evidence they were Israeli intelligence agents. In a carefully worded statement, he also verified a dead Israeli van driver had two passports. Three occupants who escaped the wreckage took their passports back to Israel, he said. • The rapid departure of the three surviving Israelis from New Zealand. • Confirmation that elite SAS troops were in Christchurch’s red zone after the disaster—although the Defense Department states they weren’t dealing with an unaccredited rescue squad (Magnus International Search & Rescue). • Changing claims about the number of passports held by the deceased Mizrahi: Initial Southland Times reports stated that he had five passports. Israel’s ambassador to Australia and New Zealand, Shemi Tzur, states that he was aware that Mizrahi had been “carrying more than one passport” when identification checks were being made of the earthquake victims, and states that he was handed a package of Mizrahi’s effects which “did contain more than one passport.” Then Prime Minster Key stated that Mizrahi only had one passport, after having previously stated there were multiple passports. • In the aftermath of the February 22 earthquake, Israeli Prime Minster Benjamin Netanyahu phoned Key on four occasions the same day. Was Netanyahu wanting to talk to Key as one Zionist to another? • Israel’s civil defense chief arrived in Christchurch at the same time as the Magnus rescue team. What added to the suspicions were Prime Minster Key’s obfuscating replies on initial enquiry. The claim that Mizrahi only had one passport of “European origin” does not sound plausible. One would expect that he would also have an Israeli passport. Israeli Ambassador Tzur had already stated Mizrahi had “more than one” passport. 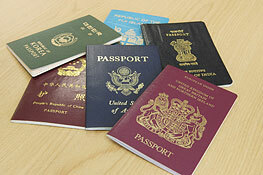 Why the discrepancy in reporting on the number of passports? The “five passports” were said to have been found on Mizrahi at the morgue. The Israeli forensic analysis team had been sent by the Israeli Government to work on victim identification at the morgue. The SIS became suspicious of the team after the five (or two, or one or “more than one”) passports had been found on Mizrahi, along with other suspicious activities mentioned above, in addition to “a mysterious seventh Israeli, in New Zealand illegally, who was s reported missing in the quake, then weeks later was reported to have left the country.” Police have refused to comment on what happened to the van and what was found within. Fifteen People Arrested in March in Dallas, Suspected of Casing Federal Buildings. 11News reported how people claiming to be “Israeli art students” might be trying to sneak into federal buildings and defense sites, and even doing surveillance. In Dallas, the so-called students hit early this year at the city’s FBI building, the Drug Enforcement Administration and at the Earle Cabell Federal building, where guards found one student wandering the halls with a floor plan of the building. Madsen states that according to his own informants the “art students” had also visited the offices of the Electronic Privacy Information Center (EPIC) in Washington, DC and the headquarters of the National Defense Industrial Association (NDIA) in Arlington, Virginia. Other suspicious activity from Israelis at the very time of the Twin Towers attacks involved the office moving company Urban Moving Systems, five of whose employees were arrested. The Israelis were later linked to an Israeli-owned office moving company called Urban Moving Systems headquartered in Weehawken, New Jersey at 3 West 18th Street. Another Urban Moving office was located on West 50th Street in Manhattan. Urban Moving’s owner, Dominik Otto Suter, fled to Israel shortly before he was to be re-questioned by the FBI.One of the five Israelis had a ticket for Bangkok and was due to fly out on September 13th. The New York Department of Transportation revoked Urban Moving Systems’ license after it was discovered that its Manhattan business address was merely a post office box. K R Bolton, Th.D., Ph.D. (Hist. Th. ), is a contributing writer for Foreign Policy Journal, Geopolitica.ru, and New Dawn. He is widely published in the scholarly and general media on a variety of subjects. Books include: Artists of the Right; Peron and Peronism; Opposing the Money Lenders; The Banking Swindle; Geopolitics of the Indo-Pacific; Yockey: A Fascist Odyssey; Zionism, Islam and the West; The Decline and Fall of Civilisations; Revolution from Above; Stalin: The Enduring Legacy; The Psychotic Left, Babel Inc.